The Scottish Co-operative Party held a very successful hustings meeting for the Scottish Labour leadership contest on Saturday 7th October, where we heard from Richard Leonard and Anas Sarwar. Both candidates are long-standing members of the Co-operative Party and it was good to hear that both of them would put ideas around co-operation at the heart of their policies if they were successful. You can read about their vision for the co-operative movement here. The Scottish Co-operative Party gave its membership a vote on whom the party should give its supporting nomination to. 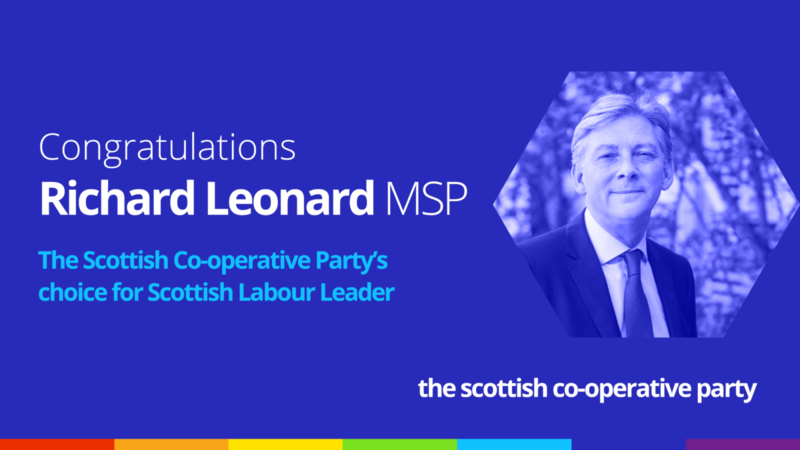 The result of the ballot was that Richard Leonard will receive the supporting nomination from the Scottish Co-operative Party.